For the second time in a week, Aspen-area law enforcement officers have been accused of improperly targeting a 17-year-old involved in two recent alcohol and drug-related criminal cases, sources said Friday. The first incident occurred last week when a District Court judge angrily questioned the motives of a prosecutor and a detective investigating the 17-year-old, while the second took place Wednesday when a uniformed and armed Aspen police officer allegedly threatened to “murder” the teen as he waited for a public bus. “He was in my face,” the 17-year-old said in a phone interview Friday of his interaction with Aspen Police Officer Marcin Debski. “His face was inches from mine. I was kind of, I guess, scared … and rattled. 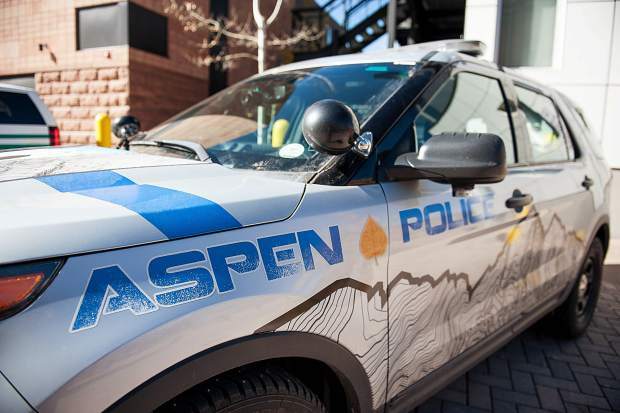 Debski was placed on administrative leave Wednesday after Aspen police received a complaint about the alleged incident involving the teen, according to a letter from Aspen Police Chief Richard Pryor released Friday. The teen’s father initially filed the complaint with the Pitkin County Sheriff’s Office because “he did not trust the Aspen Police Department,” according to a Sheriff’s Office report. Aspen police has asked the Colorado Bureau of Investigation to conduct the inquiry into the situation involving Debski, Pryor said. Debski did not return a phone call Friday seeking comment. 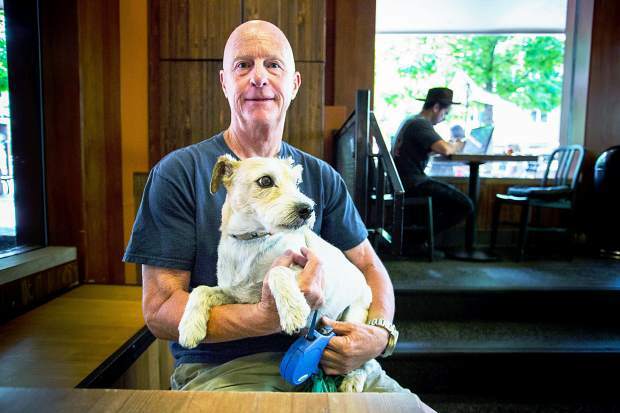 However, Pitkin County Judge Erin Fernandez-Ely on Friday denied a restraining order application filed by the 17-year-old — who is not being identified because he’s a minor — and his father against Debski. Pryor said the mistrust of APD is regrettable. The 17-year-old Aspen High School student played a central role in the two recent investigations involving teenagers, alcohol and cocaine that Pryor is referring to. The first occurred Jan. 2, when teens allegedly broke into the Mountain Chalet lodge, stole alcohol and later vandalized another downtown hotel. The arrests of three teens on felony charges about a week later exposed a somewhat long-running scheme by local underage minors to infrequently burglarize and steal alcohol from the hotel. The second incident didn’t surface until earlier this month, though it also took place the same night as the Mountain Chalet burglary. That case involves allegations that a 19-year-old Aspen High School senior and his parents gave cocaine to a minor and provided alcohol to a group of minors partying at their Aspen Highlands-area home that night. The 17-year-old was charged with burglary in connection with the Mountain Chalet incident, according to court records. In the course of both investigations, the 17-year-old and his parents allowed police access to his phone. Subsequently, the Pitkin County Sheriff’s Office has charged the teen with felony menacing with a deadly weapon and felony distribution of a controlled substance based on other videos on his phone police watched, according to court records. That landed the teen in a Grand Junction juvenile detention facility last week, when Prosecutor Don Nottingham and Bruce Benjamin, the juvenile investigator for the Sheriff’s Office, attempted to convince District Judge Chris Seldin to keep the teen in jail at the March 12 detention hearing. 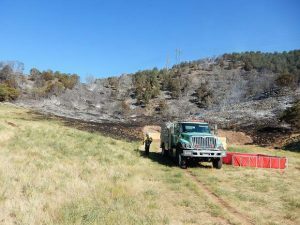 Nottingham said that four of the six juvenile criminal cases filed in Pitkin County District Court this year were filed against the 17-year-old and that he was concerned about allowing him back into the community. Scott Troxell, the teen’s public defender, said the newest charges filed involved videos on the teen’s phone that dated back to the 2017-18 school year. He also noted that the 17-year-old’s family was frustrated with police after allowing access to the phone, which has resulted in more felony charges. The teen’s father at the time said his son had been toeing the line and going to work and school and meeting his obligations. Judge Seldin dismissed the allegations behind the menacing with a deadly weapon charge, which involved brandishing a shotgun, as “stupid, macho, high school boy behavior.” He also said a protection order violation involving the teen’s girlfriend was minor. That prompted Nottingham to read an email from an Aspen High School vice principal detailing the teen’s failure to do his schoolwork. Seldin then told the prosecutor that he, too, might be failing in school if his every move was being clocked by law enforcement. The judge then dressed down Nottingham and Benjamin for law enforcement’s efforts related to the teen. Seldin allowed the teen out of jail on a $50 personal recognizance bond. Pitkin County Sheriff Joe DiSalvo said his agency clearly heard the judge’s message about needing to tread lightly around the teen. Then came Wednesday’s alleged interaction with Officer Debski. The teen said Friday he was sitting in the lobby of the county’s Health and Human Services building near Aspen Valley Hospital after taking a mandated drug test. He saw Debski enter the lobby and look at him, but doesn’t know him and didn’t think much of the brief interaction before leaving to catch the bus, he said. 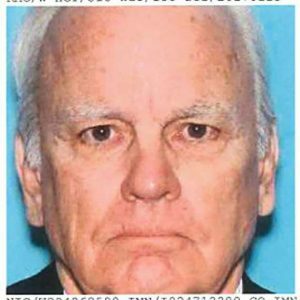 Debski followed him to the bus stop and asked the teen if he knew him. The teen said he told him he didn’t and asked the officer to leave him alone. Debski asked if he knew his daughter. The teen said he asked her name and told the officer he knew her. Debski told him he didn’t want the teen talking to his daughter or trying to sell her drugs, an allegation he denied, he said. “Then he said, ‘I know who you are and if you talk to her again, I will find out and I will f—ing murder you,” the 17-year-old said in his statement to the Sheriff’s Office. Debski started to walk away, and the teen said he “freaked out” and yelled that the officer couldn’t threaten him, he said. Debski then returned and denied he said anything. Bystanders at the bus stop also reported they didn’t hear the interaction, according to a Sheriff’s Office report. The teen said Friday he thinks law enforcement is trying to lean on him in an effort to convince him to testify against his friend’s parents, who allegedly provided cocaine to a minor. Asked if he thinks law enforcement is harassing his son, the teen’s father didn’t hesitate.